Off the back of Cyclone Tim's recent win and the outstanding form over the summer of Empire Liberty which has yielded 3 wins the stable looks to have some good chances coming up. 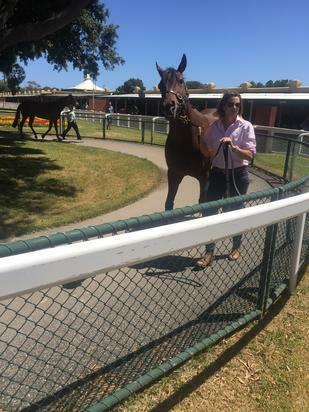 The very talented Reconciled was excellent first up recently at Mornington after a long layoff. She needed the run first up and ran on well to finish 3rd. Her next run at this stage looks likely to be Wednesday at Stony Creek. Plot The Course now looks ready after 2 runs in after a long break. He fires 3rd up and he is in great order at the moment. He will head to Moonee Valley Friday night and will be very competitive dropping back to Benchmark 78 grade. Empire Liberty is in terrific form and as a result has crept up in the ratings. He has been kept ticking over waiting for a suitable race which at this stage will be a Benchmark 70 over the mile at Seymour on the 19th February.